Take the Dublin to Sutton coast road and turn right at the signpost for Howth at the crossroads in Sutton Village. 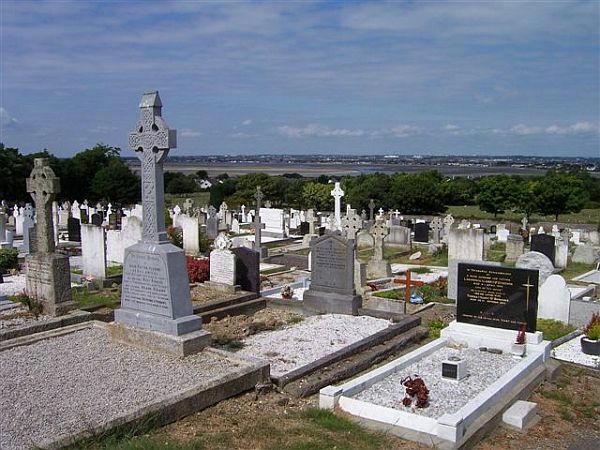 St. Fintan's Cemetery is on the hill over looking the sea. The cemetery is large with more than one section. It is maintained by the Fingal County Council, Phone: 8905943. Sometimes referred to as St. Fintan's Burial Grounds. This is not a complete listing of all burials for this cemetery! The records below were provided by contributors to Cemetery Records Online. Last edited Jun 30, 2010.